LITTLE-APPLEFALLS: Love is in the air! Ken and I have been married for almost 42 years.........and NO, that doesn't make us old ..........we married the day after my 18th birthday....I know, I know........and Ken had turned 20 that same week......but we were in luuuuurve.....so what can I say? Anyway, to get to the point........we still are in luuuuu﻿rve, but don't really do the Valentine's thing....sometimes I might receive a small bunch of flowers, and yes, he is the sort of man who buys them from the petrol station......but it's never been a big deal if we just ignore it. 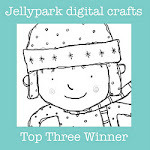 BUT....that was before I really got into cardmaking! So, I'm going to surprise him with a card (don't worry....it's not too luvvy-dovey :).....and will buy him a BIG bag of Midget Gems, his favourite sweets.....see, told you it's never a big deal......and don't think that I've let the cat out of the bag by telling you, here, because he NEVER reads it! PUT UP THE FLIPPIN' SHELVES HE'S BEEN PROMISING SINCE LAST VALENTINE'S DAY!!!!! Think he'll get the message? Wow, 42 years well done! Card is so cute and worthy of shelves! I am crazy about that swiss dot embossing folder...(I'll type loud too to help your cause:) I HOPE YOU GET YOUR SHELVES SOON! OH so adorable! 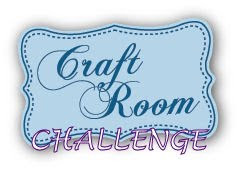 Thanks for joining us at Meljen's Design this week for our Tag challenge! Hey AM! love this card and Dunderstud is going to love it! Perfect valentine for a man :) Love the embossing on the heart, it gives it so much dimension and the buttons on the sentiment are the perfect touch! Very cute card. I love it. Thanks for joining us at Stamping With The Dragon. This is just adorable! 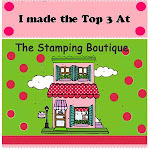 Thank you so much for playing with us at Stampin' Royalty, I hope to see you again this week! 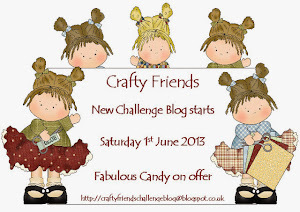 Thanks for joining our 'clean and simple' challenge at Totally Papercrafts this week.